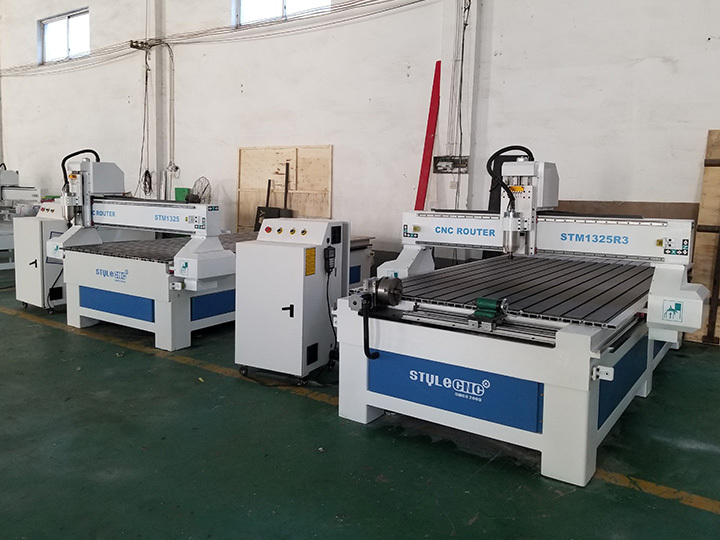 STYLECNC® offers the newest 4X8 feet 1325 CNC router with 4 axis rotary which is popular used in woodworking, sign making, mold making, arts and crafts, the 1325 CNC router for sale with affordable price, free CNC router service and support from now on. 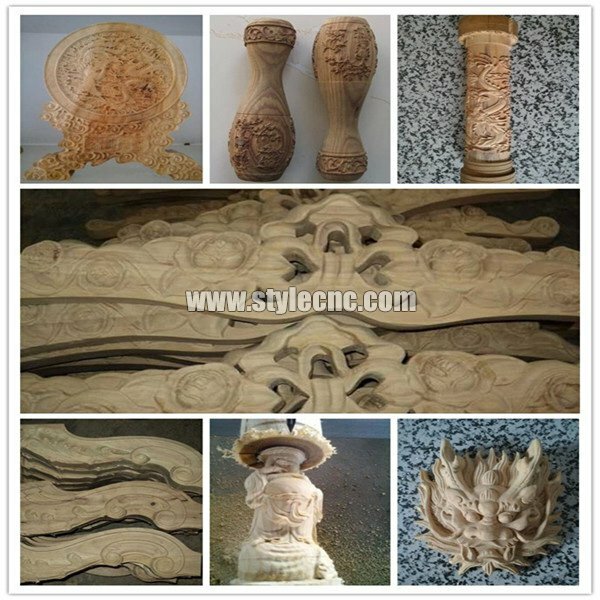 Woodworking industry: Three-dimensional wave board, furnitures, solid wood door, kitchen cabinets, wardrobe cabinets, tables, beds, computer desk, table legs, sofa legs, wood crafts, paint door, screen, windows, shoe polisher, game cabinets and panels, mahjong table, auxiliary processing. Advertising industry: Advertising sign, logo making, acrylic cutting, plastic molding, a variety of materials advertising the production of decorative product. 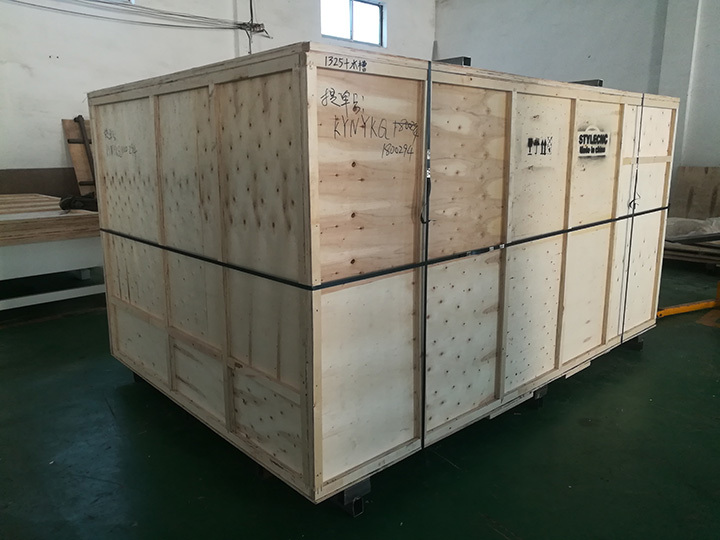 Mold industry: Engraving wood, foam, EPS, copper, aluminum mold, as well as artificial marble, sand, plastic sheeting, PVC pipe, wood and other non-metallic mold. Other industry: A variety of large-scale relief sculpture, shadow carving, craft industry. 1. 1300*2500*200mm effective work area. 2. 300mm diameter rotary 4th axis for option. 3. 3KW water cooling spindle, 24000rpm. 4. 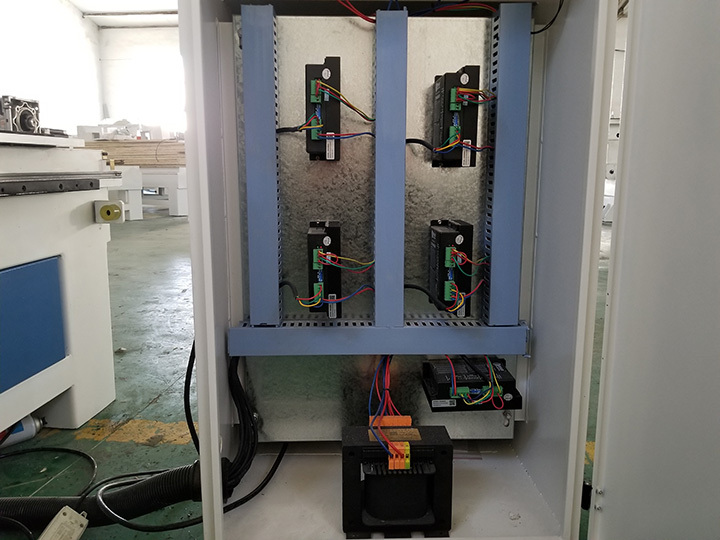 3.7kw Fuling inverter(China top quality). 6. Taiwan HIWIN #20 square linear guide. 7. 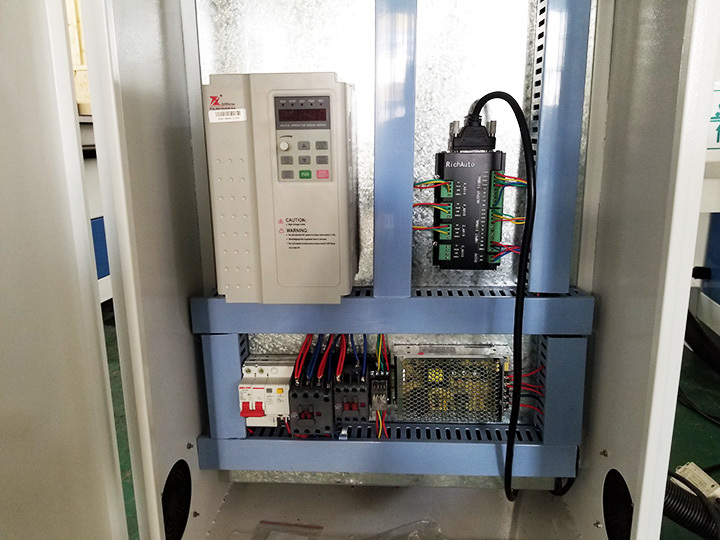 Helical rack transmission for X, Y axis, powerful and stable. 8. Taiwan TBI ballscrew transmission for Z axis, most accurate precision. 10. Vacuum table for option. 13. Japan OMRON limit switch. 14. The best cable, highly flexible, fire resistant. 2. 200mm/300mm/400mm/500mm for Z axis. 5. 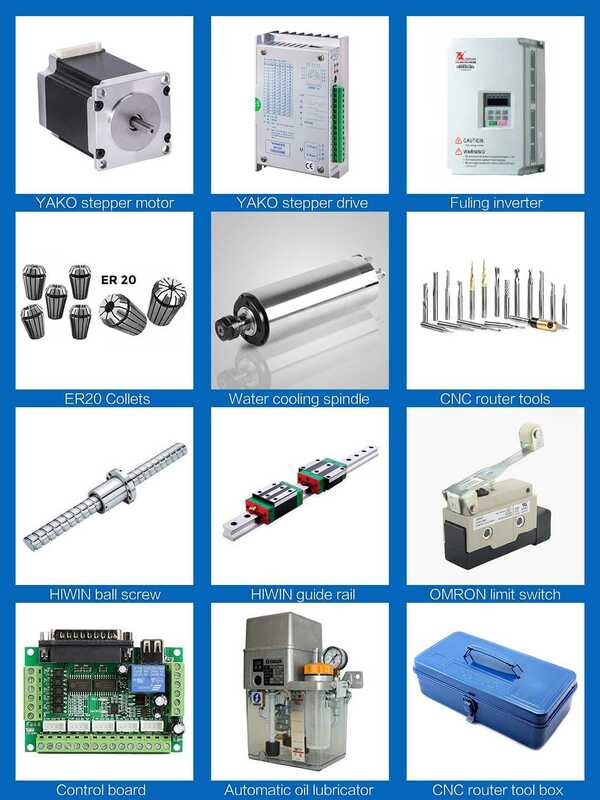 Stepper motor(Japan Yaskawa servo, Taiwan DELTA servo for choose). 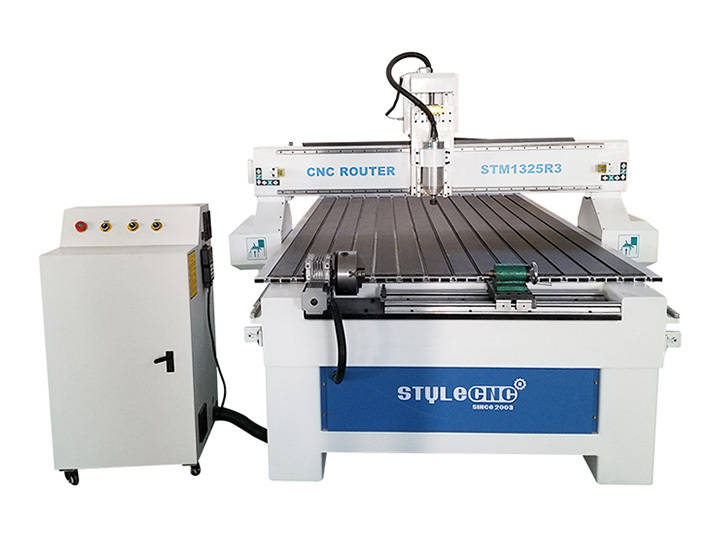 License: The text of "STYLECNC® 1325 CNC Router with 4 axis rotary" by STYLECNC is licensed under a Creative Commons Attribution 4.0 International License. 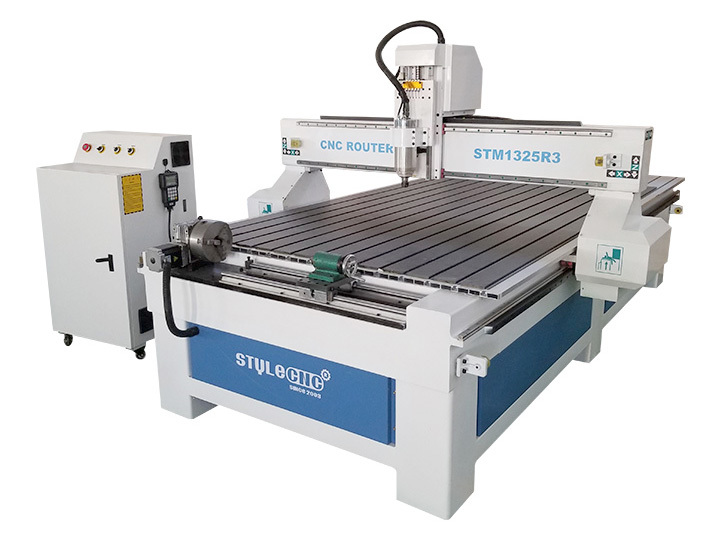 How to use a CNC Router with Rotary 4th Axis for Beginners? How to fix rotary for a multi-heads CNC router? 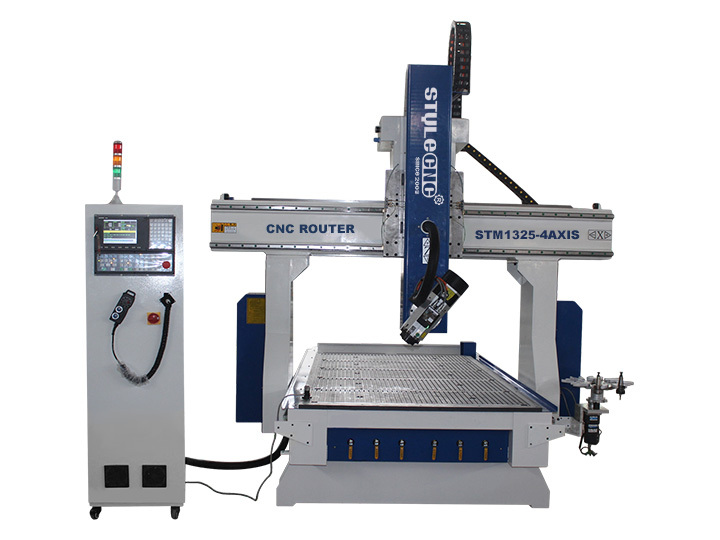 You will understand what is a CNC router? how does a CNC router work? 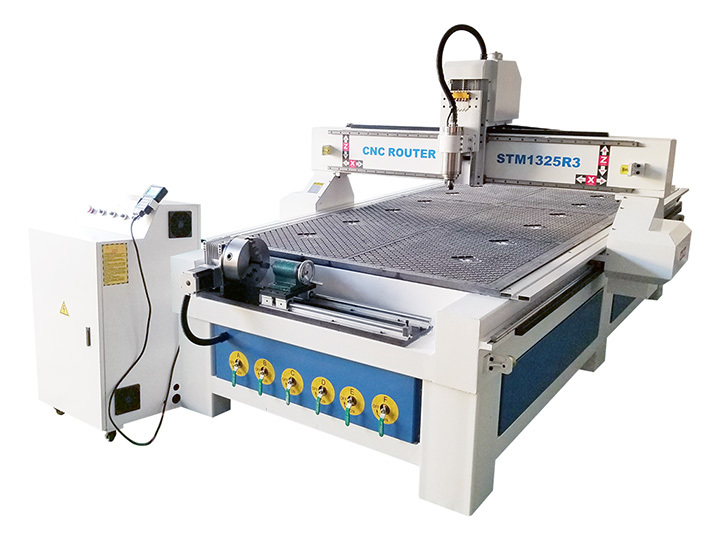 how much does a CNC router cost? 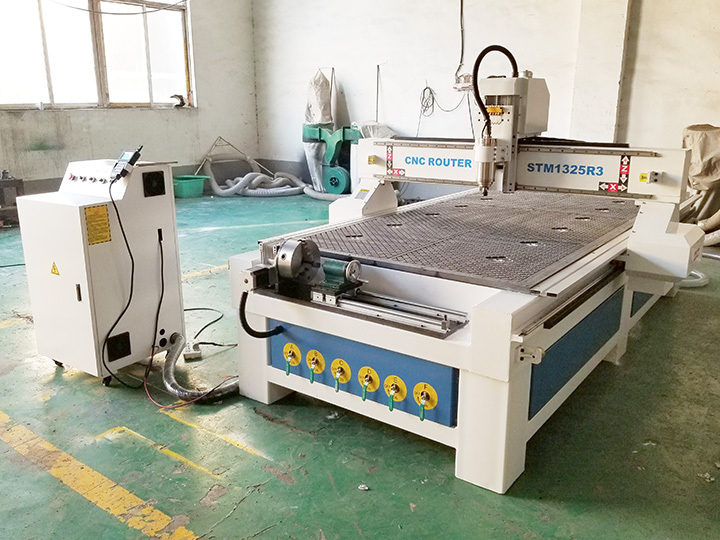 what you should know before buying a CNC router? This CNC machine seems to be well engineered and is working great for me so far. It takes a little while to familiar with the operation, but fit fine with my STYLECNC router. 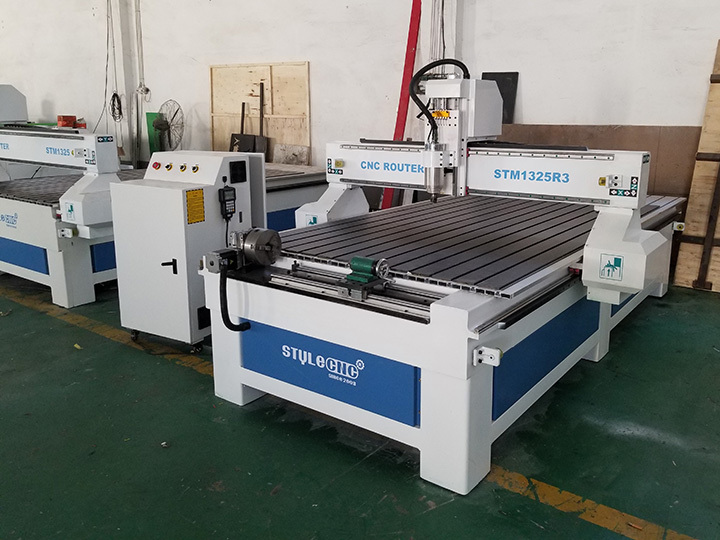 Great cnc router machine! I have had the machine assembled and operating for close to a month now, and I am very impressed! 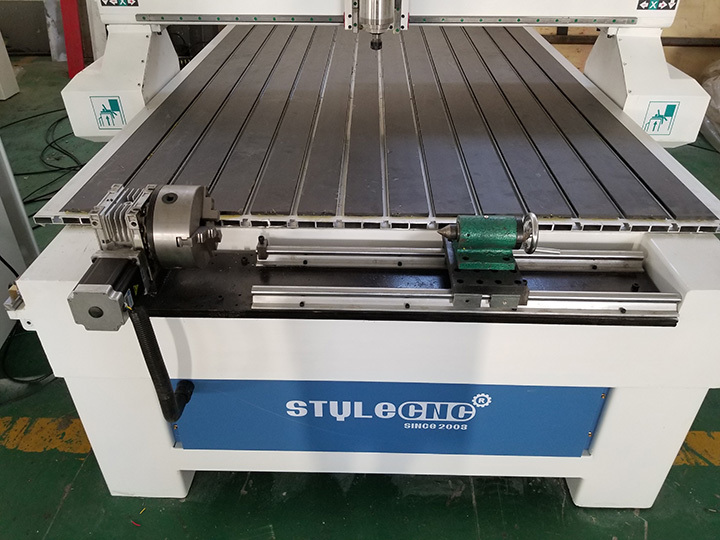 This is a very well designed cnc machine. Everything even software is included in the kit, I had no missing parts. This rotary CNC machine was everything the vendor promised. All the parts were of good quality, packaged well. I need one different size rotary. I emailed the vendor and in less than the 24 hours, they replied and made arrangements for me to receive a new one. And the price is not high. All of the parts worked well. 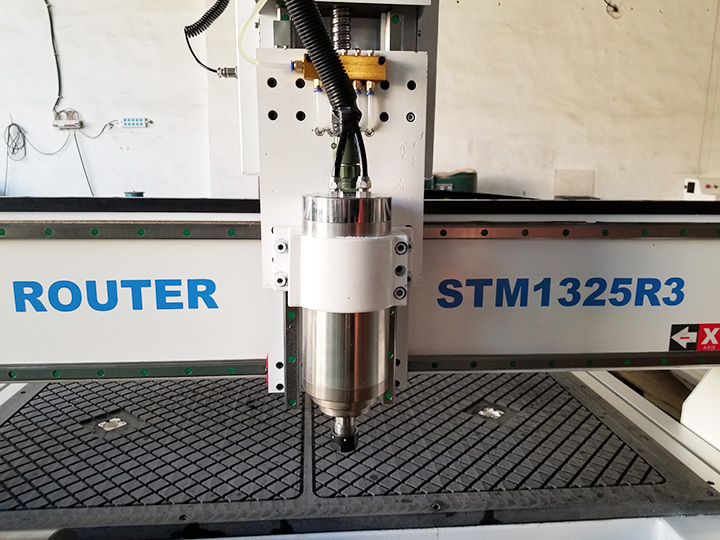 I really liked the machine and it is performing exactly as I expected.Reply from STYLECNC: Thanks for your praise to our 1325 CNC router. Vincent from United StatesPosted on Nov 20, 2017Works effect is amazing. 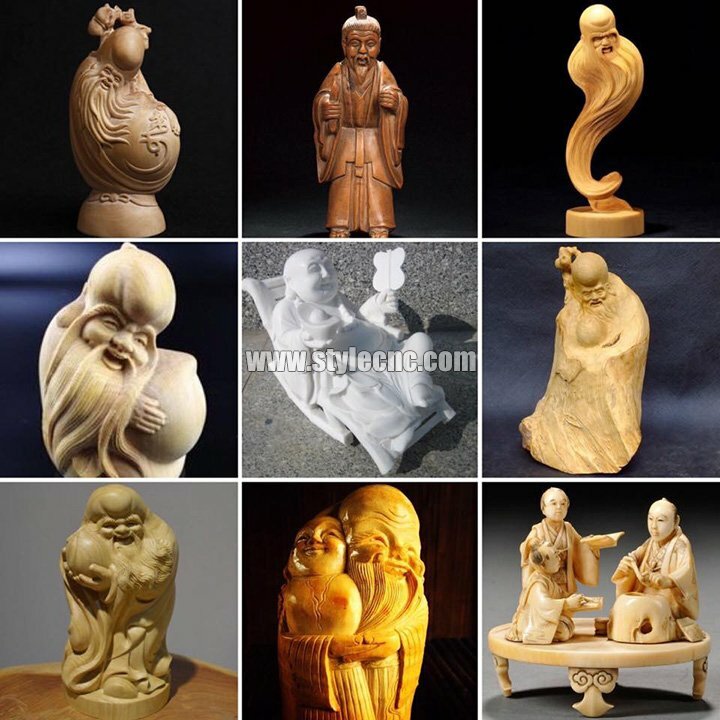 Carving within hours of receiving, with no prior experience. Great quality product! Great machine to add to my workshop, the price was good, delivery was quick. Now that I have begun using the cnc router, I can see the possibilities are going to be endless. 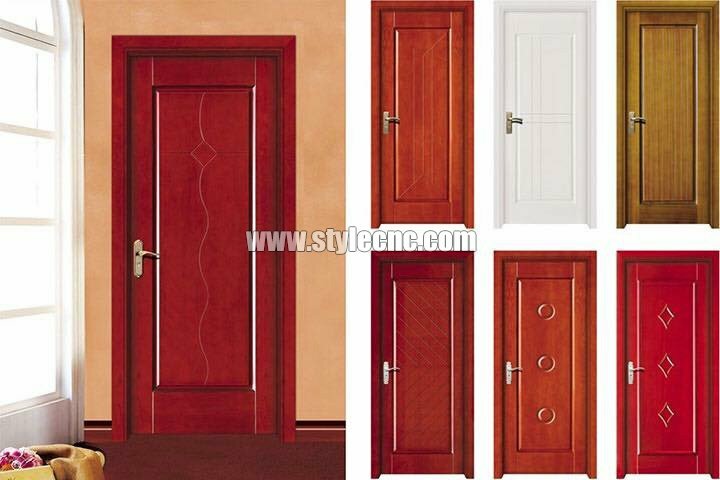 Excellent product, good price and very good support.